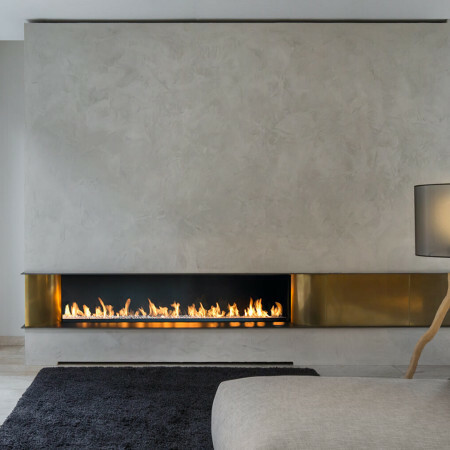 This impressive modern gas fire (high efficiency gas fire) with sleek, simple lines comes with a unique, sculptured precast finishing fascia that can be seamlessly integrated with the surrounding wall. The curved side cheeks of the fascia provides a beautiful and elegant finish. 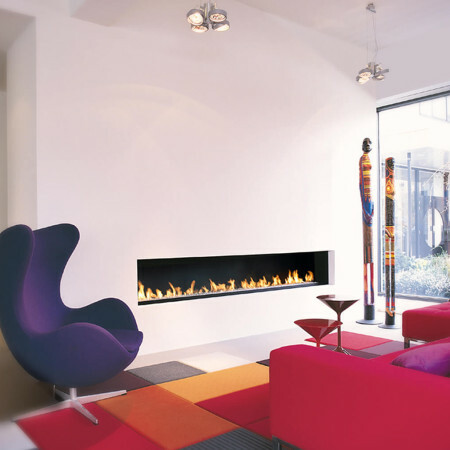 The modern gas fire itself has a high heat output and the flames can be fully controlled with the remote control. This modern gas fire is also available as a extra slim version which has minimum projection into the room. To discuss this high efficiency fire or any other model, contact a design consultant.